Silver Oak Casino Review – $10,000 Bonus! Silver Oak Casino is owned and operated by Ace Revenue Group. They have a gaming license from Costa Rica and are an established name in the online gambling industry. Silver Oak Casino was first launched in 2008 and given a major overhaul in 2009. For 2019, we've dug deep to make sure it meets our stringent standards. In this Silver Oak Casino review, we will provide a detailed report on their gaming experience, touching on software for PC and Mac, the mobile app, functionality, gaming options, customer service and beyond. There will also be sections on bonuses, tournaments and Silver Oak Casino banking options. To conclude, we’ll break things down into ‘great features’ and elements that ‘could be better’. Honest. Thorough. Fair. Read on for more. As we conducted our Silver Oak Casino review, we quickly concluded that there is no shortage of choice when it comes to casino games. 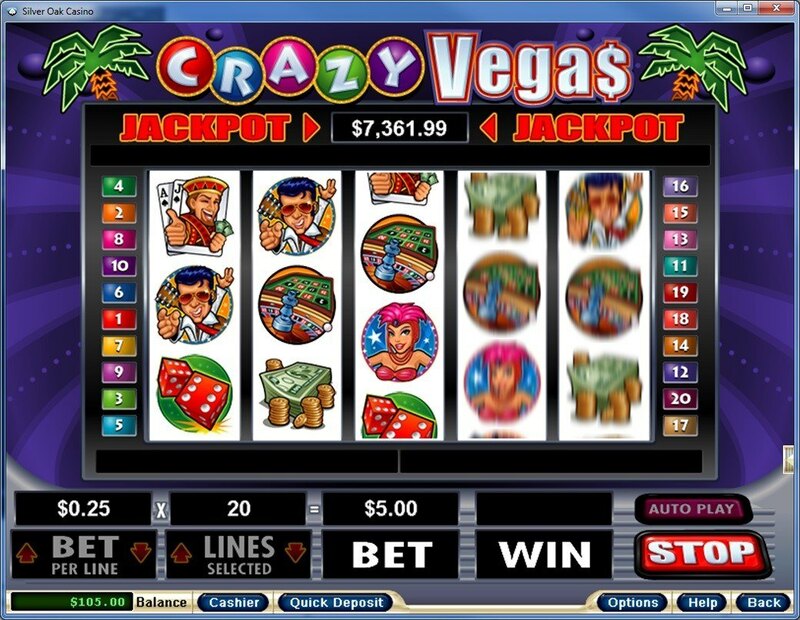 The online slots section is packed with themed options, with titles including ‘Football Frenzy’, ‘Hen House’, ‘Hillbillies’ and ‘Food Fight’ to choose from. In the table games section you’ll find classics such as blackjack, pontoon and baccarat. There’s also a good selection of video poker games to choose from, as well as a specialty games area that pulls in the likes of craps and keno. Determined to provide players with the best experience possible, Silver Oak Casino offers 24/7 customer service, via telephone, email and live chat on their website. 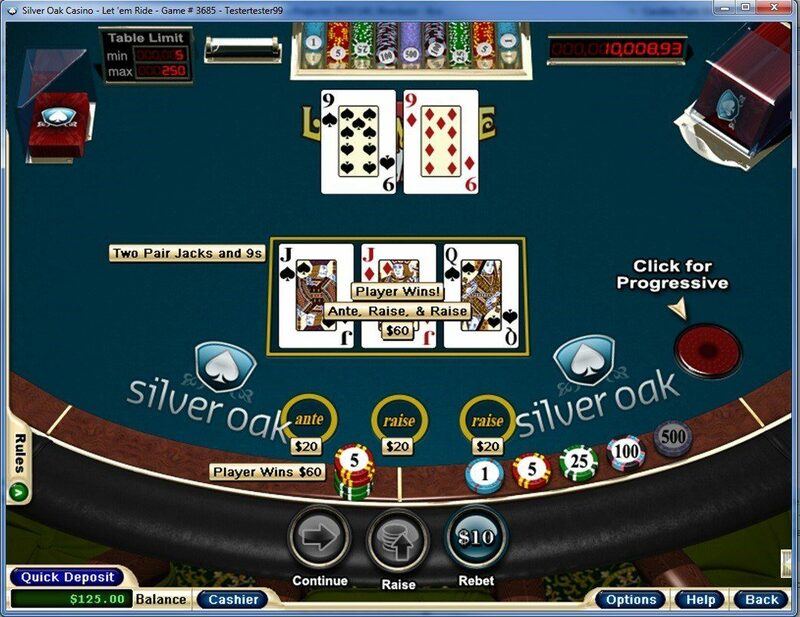 As per Silver Oak themselves: “Whether this is your first time playing online, or your one-thousandth, we promise you lightning-fast deposit authorization and 24/7 customer service by our knowledgeable, friendly, English-speaking agents.” If you’re wondering, “is Silver Oak Casino legit?” this is your answer. You can get in touch with someone through toll-free phone support by dialing 1-888-402-2063. A live chat link is also available on the website. We like seeing these contact details posted right on the site. Too many sites hide their contact details, so this is pretty refreshing. Silver Oak Casino lists Visa, MasterCard, American Express, Prepaid Card, Neteller and Person2person among its secure, accepted deposit methods. There are limits applied depending on the method you choose. You can also put money into your online real money account by bank transfer. Deposits should show instantly in your Silver Oak Casino account, so you can get playing straight away. Silver Oak Casino withdrawal methods are listed as bank wire, bank check and cash transfer. There is a weekly limit of $2,500 set for cashouts, with the minimum withdrawal amount at $100. They say withdrawals speeds can vary depending on a number of factors, and also that you may have to provide proof of identification to satisfy security requirements. These are hurdles, but ones that are easily overcome. 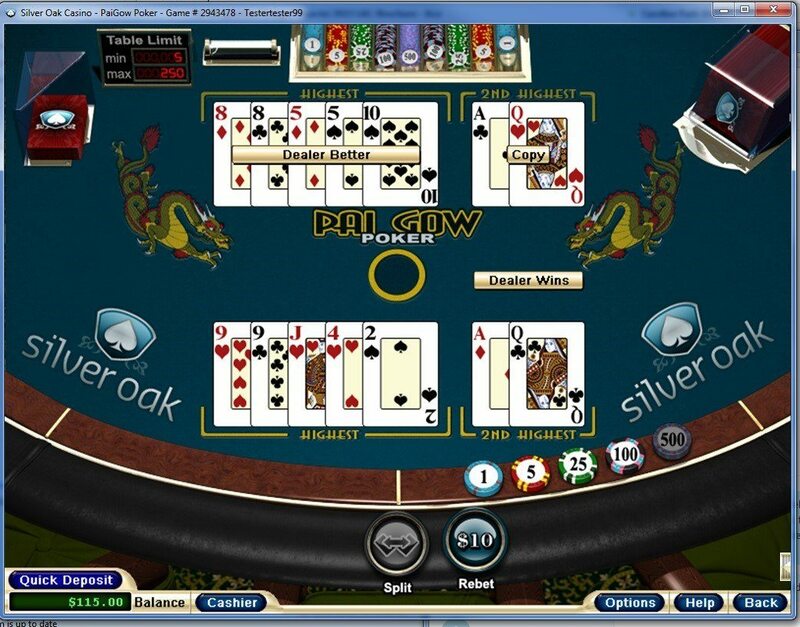 Silver Oak Casino is powered by Real Time Gaming (RTG). They're one of the best-known gambling software companies in the industry. That means you get state-of-the-art technology, along with a commitment to transparency and fairness. Silver Oak uses “Random Number Generator” software to ensure there can be no accusation of games being fixed. There are two options for play at Silver Oak including instant play and access via their bespoke software, which is available for Mac and PC and very easy to install. 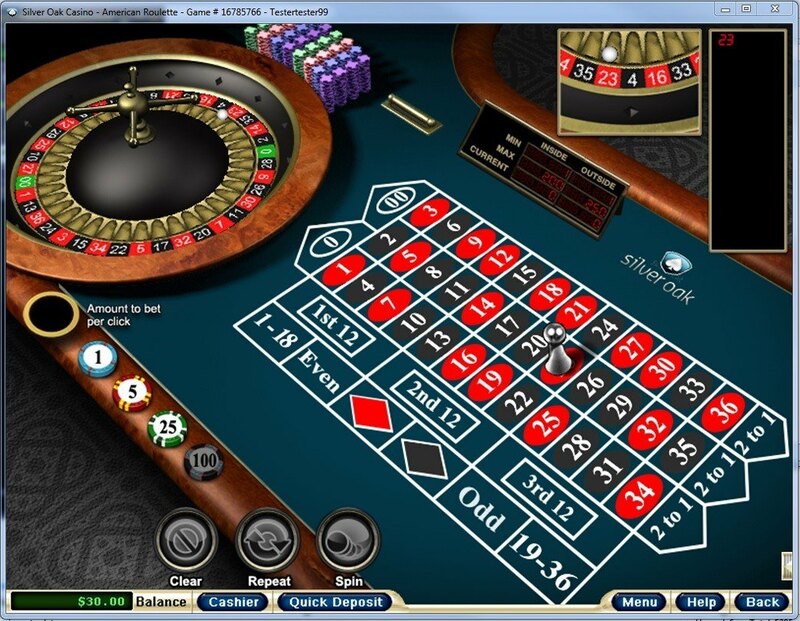 If you're looking for dedicated roulette casino apps, Silver Oak delivers in a great way. There's nothing to install. Instead of downloading a dedicated app, you simply go to Silver Oak Casino on your mobile device after you've created an account to play. It's that simple. There are slots tournaments every day for Silver Oak Casino players in America. You need to download their software first to access them, but once you’re in you’ll be able to choose your tournament and get playing. Silver Oak has a mobile site that allows you to sign in and access all their favorite games. Silver Oak Casino mobile can be played from iPhone, Blackberry and Android smartphone devices, as well as using iPads and other tablets that are connected to the Internet. Put simply, if you’ve got a WiFi connection or if you're on 3G or LTE, you’re good to go. We found that while the Silver Oak Casino mobile offering didn't feature as many games as the desktop experience, it still features all the latest hits and is fun to play. Use the bonus codes to redeem, and make your deposit. The bonus codes are sequential. The first bonus code is SILVEROAK1, which gets you a 1st deposit bonus of 100%. The second is SILVEROAK2, which gets you the same deposit bonus. The third is SILVEROAK3, and so on. Note that the bonus comes with a 30x playthrough requirement on most games. If you're playing jackpot, it jumps to 60x. The same goes for video poker, whether you're playing through the Silver Oak casino mobile app on desktop or mobile. Keep in mind that roulette spins don't qualify for the bonus. There's a bit more info you should pay attention to, so check out the full terms and conditions before playing. In addition to the sign-up bonus at Silver Oak Casino there are a host of member-only promotions to get excited about. These include a $10,000 monthly draw, cash-back bonuses, player reward cards and a promotion they call “crewpon”, with a 270% bonus offering during a set time period, plus a chip that increases in value based on how many people take advantage of the bonus. Silver Oak is open and ready for business for US players. They claim to serve more American online casino players than most of their competitors, so if you're in the USA, this is great news. >> Click to Join Silver Oak and Get Your Bonus!